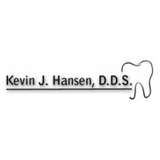 Kevin J. Hansen, D.D.S. (Brooklyn) - Book Appointment Online! Dr. Hansen and his associate, Dr. Lipman, provide dental care for both children and adults in Park Slope & surrounding Brooklyn neighborhoods. With Dr. Hansen, you'll have the opportunity to see instantaneous images of your teeth with digital x-rays, and an intraoral camera. We also provide orthodontic care with the Invisalign system. Please call our office if you have any questions.